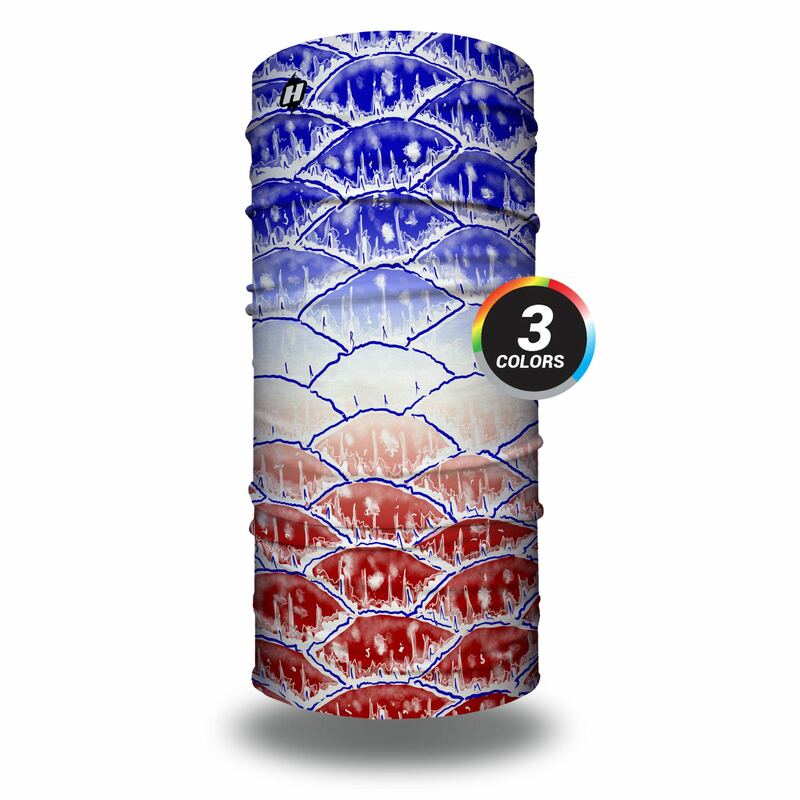 The Fish Scales Hoo-rag is an epic mash-up of scaly fish skin and rad street graffiti. Hand drawn and adventure inspired – this fishing bandana design will quickly become your new favorite, on and off the water. Available in 3 colors: Merica, Rasta or Gray. I haven’t worn this one yet. But the same excellent quality as the other approximately 10 or so we own. The colors are vibrant and will go well with my USA red white and blue fishing clothes for tournaments. since I had gotten a few designs, I let the birthday boy (for whom we went on this fishing trip for) pick his choice. I knew he would pick this 3 color scales hoo! He loved it, wore it, swears by it, and can’t wait to take it with him on the next deep sea fishing adventure! I got the merica scales and love it. Bright colors. No worries wit his one. INCREDIBLE!! VIBRANT COLORS, UNIQUE DESIGN!! NEVER LEAVE HOME WITHOUT ONE! !